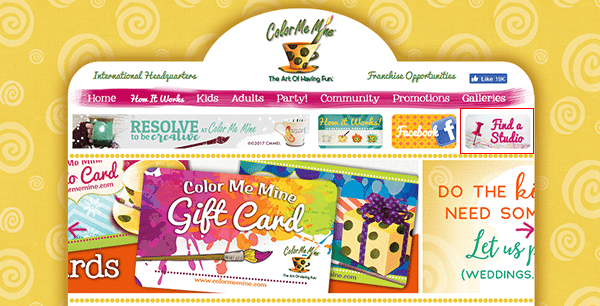 Read the instructions posted on this page to learn how to access the official Color Me Mine job application (online version). Numerous current openings can be applied for by creating an online account and going through the application process. The instructions posted below detail how to create an account, search for current openings, and fill out/submit an application. 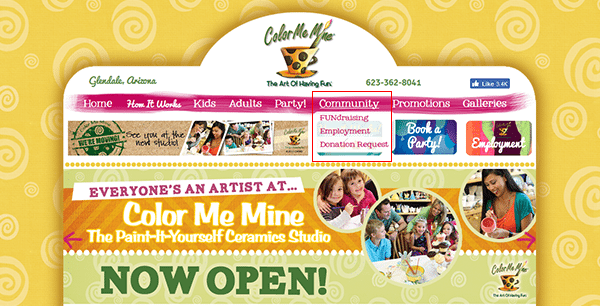 About the Company: Color Me Mine is an American chain of franchised pottery/ceramics studios based out of Glendale, California. The company was founded in 1991, and has numerous franchised locations throughout the world. Step 1 – The first step of the online job search/application process is to go to the company’s homepage. Press here to have the homepage load in a new browser window/tab. 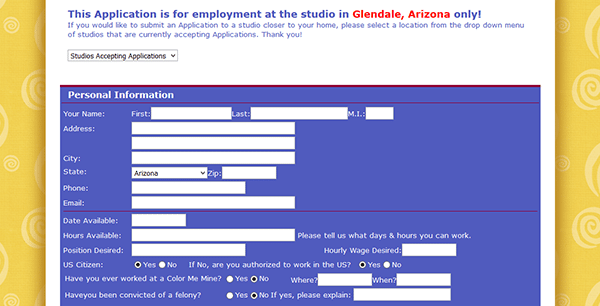 Step 2 -On the homepage click the “Find a Studio” button (outlined in red in the below screenshot). Step 3 – Select your country from the list of options (e.g. United States, Canada, etc.). Step 4 – Select your state/province from the list of available links/options. 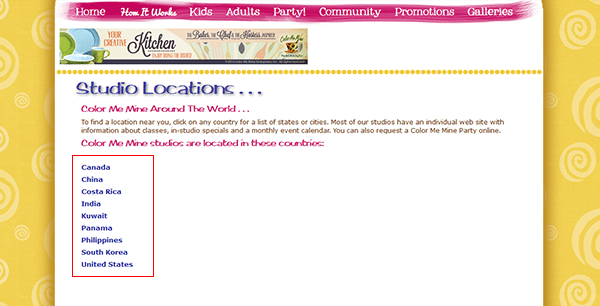 Step 5 – Click the link of the town/city that you want to work in. Step 6 – Hover over the “Community” menu item and then press the “Employment” link to go to the next part of the application process.